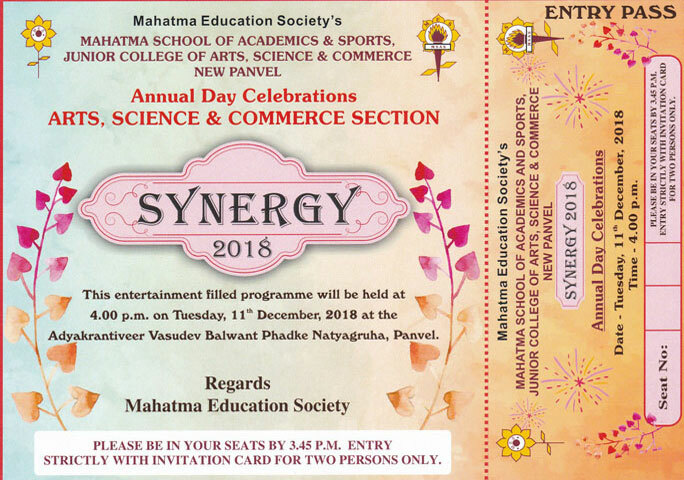 Annual Day “Anandtarang”, “Synergy-2018” & “Infinity” to be held on Tuesday, 11th & Wednesday, 12th December, 2018. 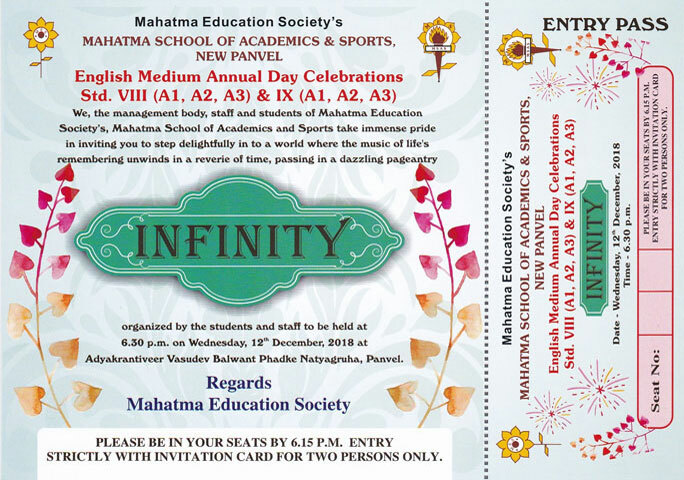 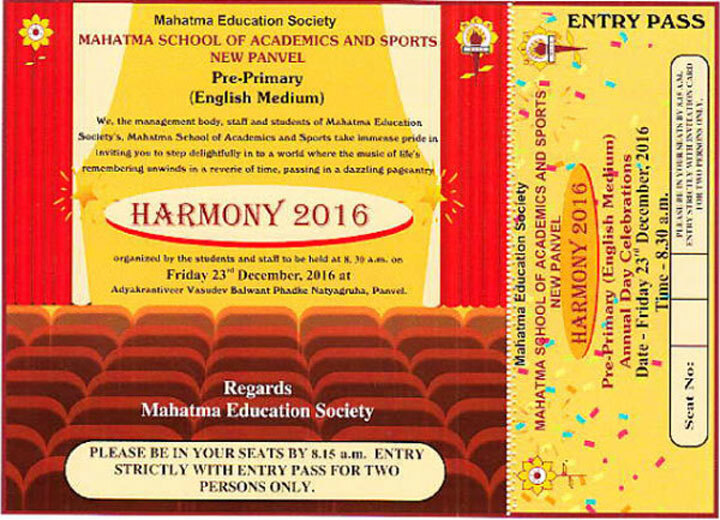 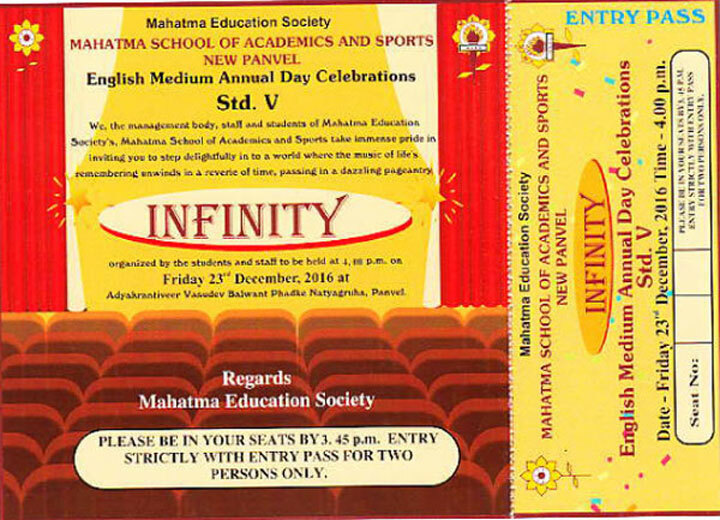 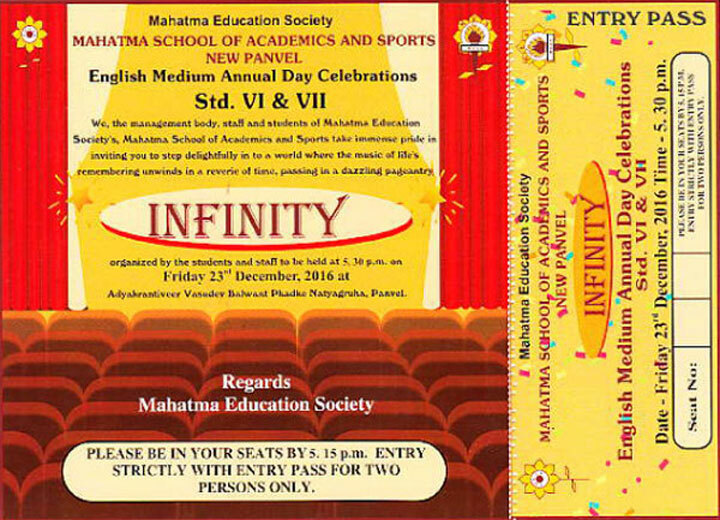 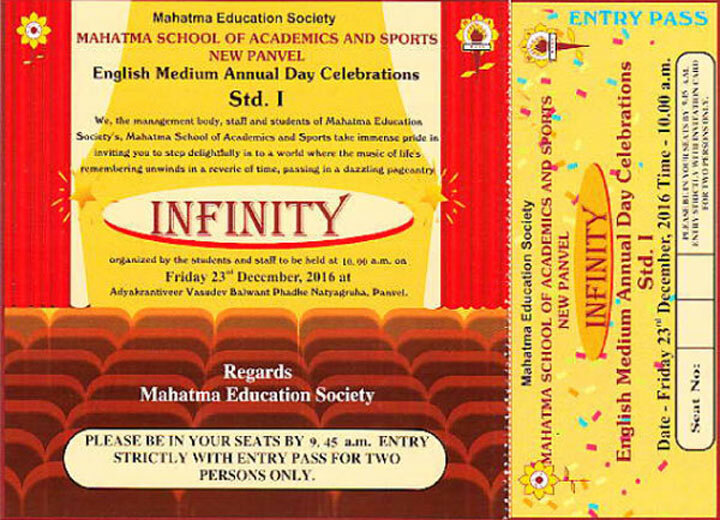 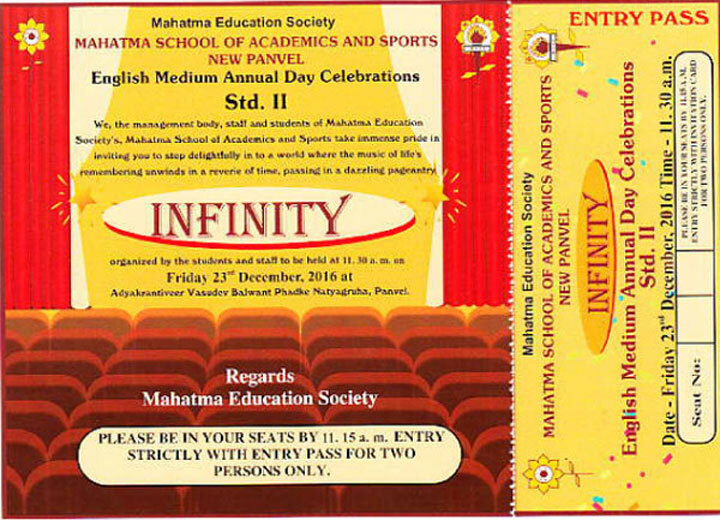 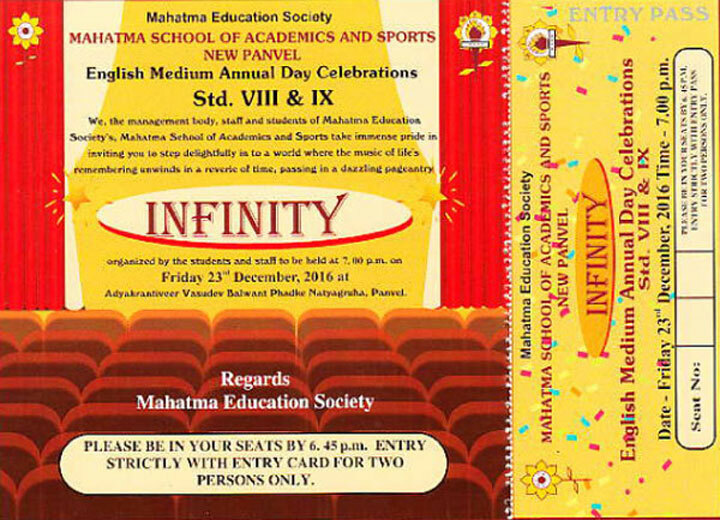 MSAS (English Medium) Panvel wish to invite you to entertainment filled programme to our Annual Day Celebrations “Harmony and Infinity – 2016” to be held on Friday, 23rd December, 2016 at Adyakrantiveer Vasudev Balwant Phadke Natyagruha, Panvel. 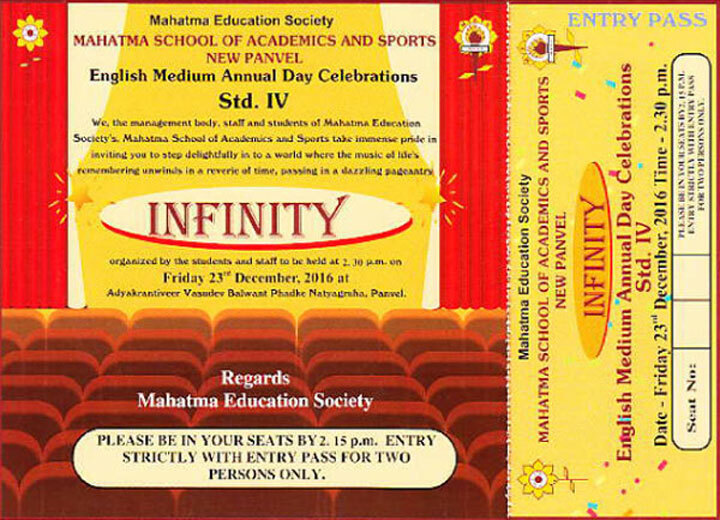 We honoree delighted by your support and presence. 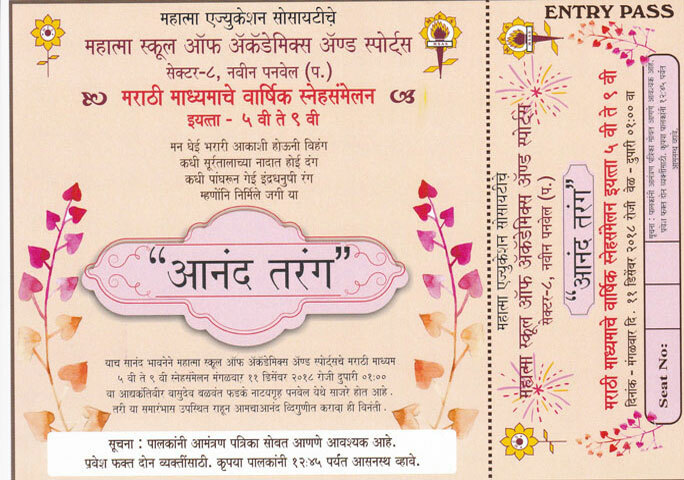 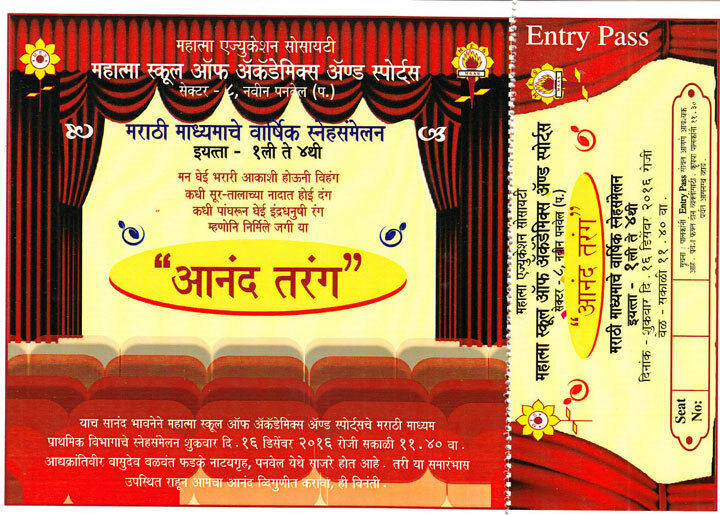 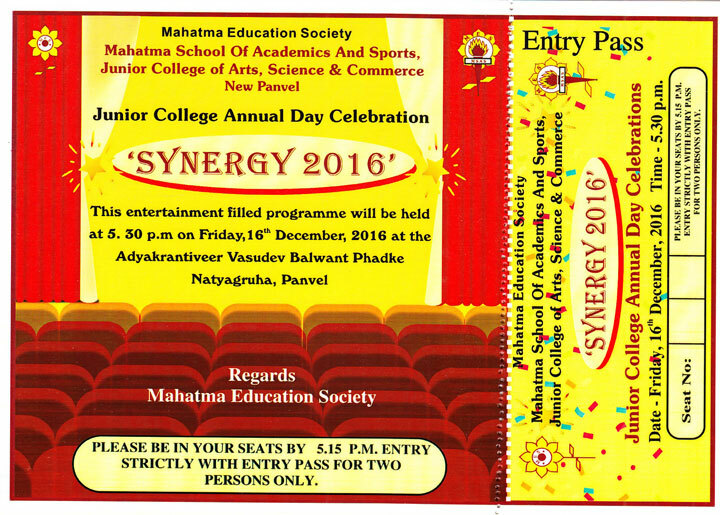 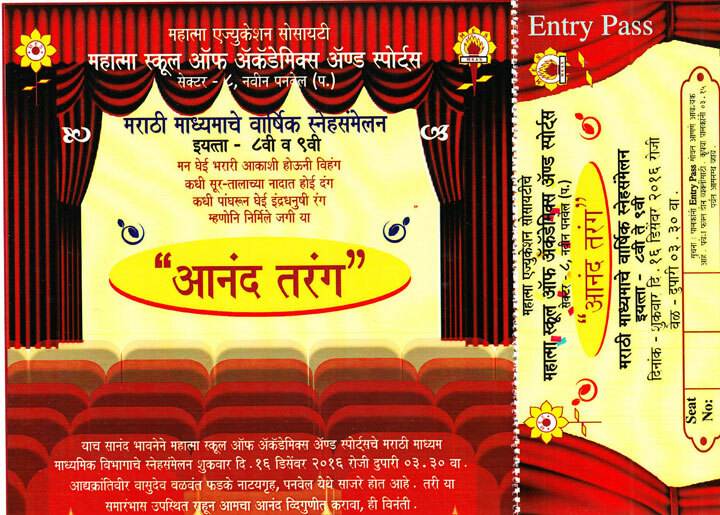 MSAS (Marathi Medium) and Jr. College, Panvel wish to invite you to entertainment filled programme to our Annual Day Celebrations “Anandtarang” and “Synergy-2016” to be held on Friday, 16th December, 2016 at Adyakrantiveer Vasudev Balwant Phadke Natyagruha, Panvel. 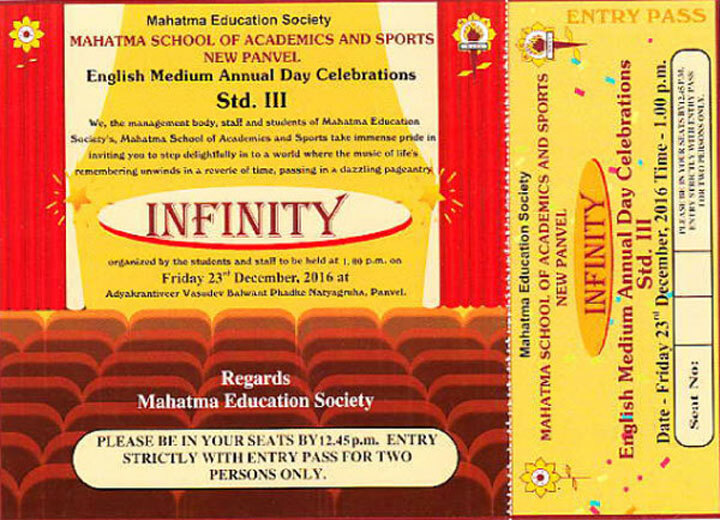 We honoree delighted by your support and presence.